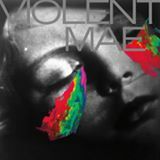 After a well received self-titled debut Violent Mae return with Kid, hoping to build on their success. It’s the right time for the Connecticut duo go for the jugular. Female vocals with a little soul and a little angst are in fashion right now, and Becky Kessler has bags of it. As opposed to the slightly bare sound and the slow bubble of it’s predecessor, Kid takes off at speed. ‘In the Sun’ tears through the nonsense with a wet but jagged guitar-line. They keep things simple and it plays well, a formula repeated throughout the album. The pair show they’re not afraid of mixing things up pace-wise, with ‘IOU’ bordering on blues and title track sounding like the dark and mysterious soul of jazz. Kessler, vocally, is cut from the same cloth as PJ Harvey, possessing a disturbing majesty regardless of what she’s saying. ‘Flame’ is a drop of sweetness, describing passionate, seemingly forbidden love “You don’t have a choice, they say, but they don’t have a right to say that”. Songs transform easily enough, but the gears don’t ever really seem to shift beyond a basic indie-rock. If you’re not a fan of the vocal style you may find your attention lagging as the album progresses because of a lack of diversity in the music. Guitars and drums are continually paired well for the most part, aside from on ‘In My Ring’ where a sonic throbbing ruins the meat of the song. Attitude driven strum and pluck can only carry you so far and on the album’s closing track ‘Birthday’ the band sound like they might be running out of ideas. There’s a fine line between nonchalance and boredom and Violent Mae seem to wobble back and forth over that line.